This RF Cable Assembly is commonly used for WLAN (WiFi) radio modules which require the Hirose U.FL or iPEX connector. Reverse-polarity SMA on one end. Additional lengths are available in 100mm increments. 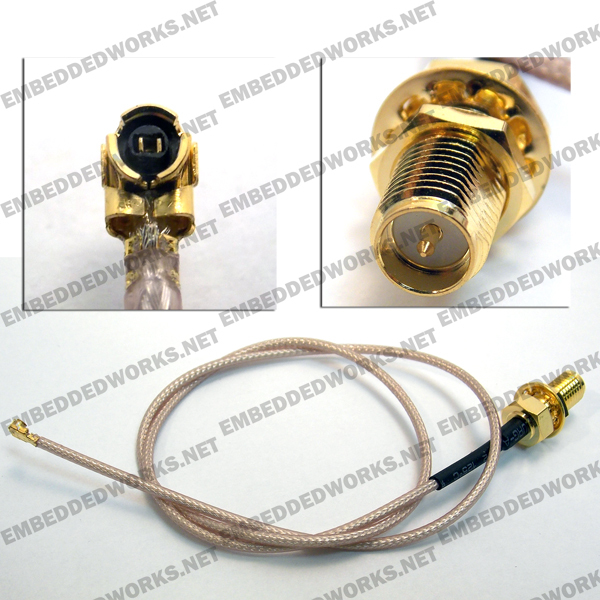 This assembly uses the higher quality RG178 cable, which has approx. .4dB per foot loss @ 900Mhz. The RP-SMA-Female connector has a center pin, and has a backing nut for bulkhead installations.